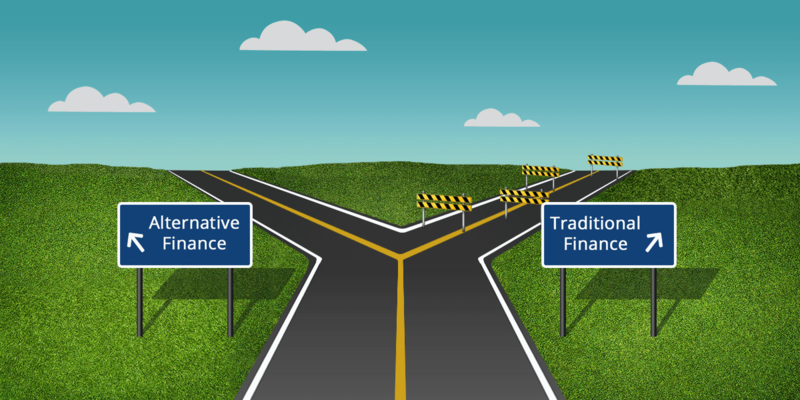 Alternative finance — Is it the best option for business owners?Most business owners assume that accessing a traditional business loan from banks is a walk in the park. They presume that you only need to walk into your preferred bank, answer a few questions and subsequently sign some paperwork after which your loan application is granted. Regrettably, that is not the case as there are many things that could impede your chances of acquiring a traditional bank loan. They include having a credit score below 640, requiring a small business financing that is less than 250,000 and operating a business below two years old. To secure a business loan despite failing to meet these requirements, you may need to opt for alternative finance. Alternative finance is the type of finance, which stretches beyond the traditional asset types such as bonds, cash and stocks. Before the global recession of 2008, early observers had a clue regarding the likelihood of facing a global recession based on the 2006 occurrences. During that time, the subprime mortgage crisis had erupted resulting in a drop in the new home permits. In August 2008, the famous Mortgage giants, Fannie and Freddie went bankrupt as a result of the subprime crisis.In September 2008, the stock market crashed, contributing to the recession. After the global recession of 2008, traditional lenders become more conservative in the underwriting of financing. This prompted the introduction of alternative financing to help fund small and medium-sized enterprises (SMEs). Entrepreneurs couldn’t rely entirely on traditional banks for small business loans. Consequently, the number of alternative lenders offering small business funding increased. Despite traditional financing being the primary source of funding for Australian businesses, alternative financing in Australia has continued to experience a steady growth. This is because a majority of businesses in Australia are SMEs and encounter financial issues consequently prompting them to solicit alternative funding. 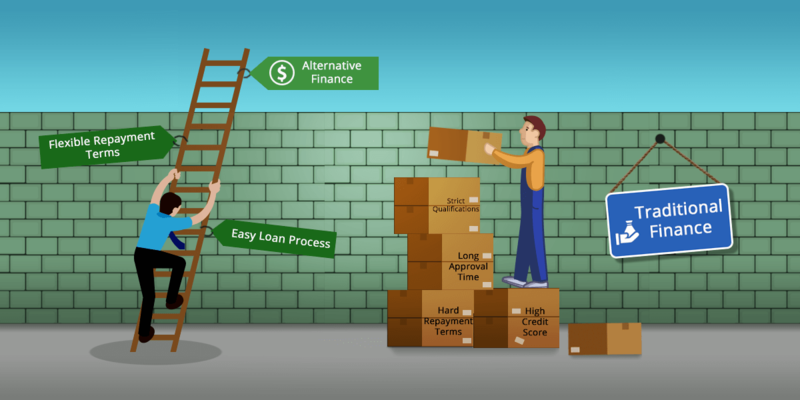 How does Alternative Financing work? To access alternative financing, borrowers need to submit their details to their preferred lenders for approval. It usually takes up to 24 hours for the borrower to know their fate regarding their application and access funds in their business accounts. The borrower then begins to pay off the loan based on the agreement. Lenders typically receive a variety of loan applications from their prospective borrowers. Subsequently, they may assess the credit history of the borrower to determine the risk of the borrower. In the wake of satisfaction, they then commence the processing of the business loans and avail the funds to their borrowers. Why is Alternative Funding a good option for Small Businesses? Alternative lending offers an abundance of loan options to meet the various demands of business owners. Business competition may prompt some entrepreneurs to seek fast business loans to purchase new stock, purchase new equipment, renovate a business, hire staff, open new stores or locations and obtain general working capital. Alternative lenders can always offer their borrowers a customised small business financing to meet their business requirements. Most alternative lenders are much willing to offer loans to their potential borrowers with fewer qualifications. Once they are assured that you can repay your loan, they may proceed to offer you a business loan regardless of your credit history. Compared to traditional bank loans, alternative financing generally involve short approval processes. This saves more time consequently expediting the access of funds for borrowers, who may be in dire need of business funding. Some alternative lenders offer unsecured business loans. These loans don’t require collateral. However, the borrower may have to pay higher interest rates.Unsecured loans are very reliable especially in cases where you need to access funds quickly. Since there is minimal paperwork required to secure the loan, you can access funds within 24 hours of making a loan application. Some alternative lenders like Hubbe offer unsecured business loans ranging from $5,000 to $500,000. Alternative lenders offer vehicle loans to small business owners seeking finance for cars to be used in the company. Typically, these lenders may offer a loan term ranging from 12 to 60 months. Also, they may require the borrower to have an authentic Australian Business Number(ABN) besides intending to use the product primarily for business purposes. Some of the business car loan products offered by most alternative lenders include hire purchase, car leasing and chattel mortgage. Invoice finance is offered to business owners to help them secure or improve their cash flow by turning unpaid invoices into fast and efficient cash flow. Invoice finance is suitable in cases where business owners require cash to manage and grow their businesses, where businesses use account receivables for operations, where business owners require quick finance approval but unwilling to use their personal assets as security and where business owners require a steady supply of cash to pay their suppliers on time. Alternative lenders offer equipment finance to help their prospective borrowers access fast business loans for the purchase of equipment, technology or new vehicles. Typically, alternative lenders assess the existing finance or customise new equipment loans for the business owner. Secured business loans are long-term loans offered to borrowers in exchange for collateral. They are generally available in larger amounts and have lower interest rates. The loans may range from $50,000 to $500,000. The lender may use this type of loan for any business purpose. A secured business loan offers a convenient redraw feature that allows the borrower to access additional repayments he or she has made on the loan. 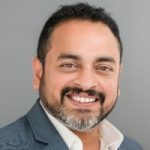 Some alternative lenders offer a business line of credit, which is a revolving facility that allows the borrower to transact within their approved credit limit. The borrower needs to pay only for the funds drawn making this type of alternative financing a cost-effective way to fund supplier purchases. Alternative financing is proving to offer a lot of convenience for many business owners. It has eased the access of business loans making it more reliable. Why stress yourself waiting for months to qualify for a traditional bank loan? Apply for a business loan from Hubbe and save yourself the hassle of moving from one bank to another in search of a business loan.